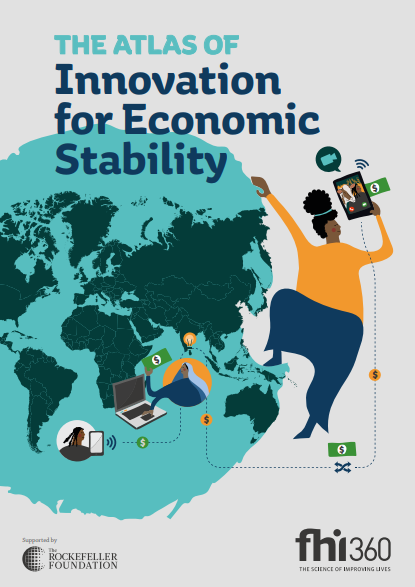 Sauti was featured as one of four Kenyan innovators in new global publication: The Atlas of Innovation for Economic Stability, which identifies innovations across the world that create stable incomes and futures. Sauti’s technology-based impact was recognized for simplifying access to trade and market information for cross-border traders and improving social accountability at border crossings. The Atlas, published by FHI 360 with support from The Rockefeller Foundation, is the result of a global research and crowdsourcing effort, and features more than sixty innovations from around the world that help individuals, households, communities, and countries survive and prosper even in the face of economic volatility. According to The Atlas, Kenya is emerging as a hot-spot of technology-enabled innovations that support a more inclusive economy. Anapp developed by Usalama Tech Group that helps users connect with emergency services, their families, and nearby users during crimes or accidents. The Atlas also presents profiles of innovators and suggests some conclusions and recommendations related to how global development partners can support and strengthen economic stability and the process of innovation, through new ideas and collaborations and stronger connections with emerging data sources, financial systems, and other technologies.